The Homeschool Buyers Co-op is pleased to present the best deal anywhere for the acclaimed Fix It! Grammar series from the award-winning Institute for Excellence in Writing. 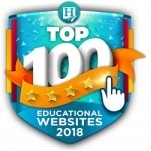 By purchasing through the Co-op, you will get FREE SHIPPING to U.S. addresses and 10 Bonus SmartPoints for every dollar you spend that you can use to purchase other award-winning curricula through the Co-op. 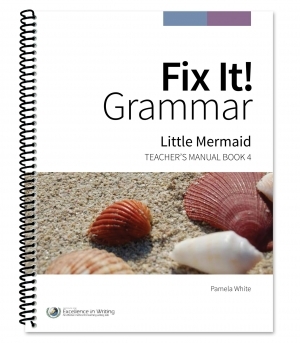 In contrast with the more analytical, traditional grammar curriculums, the Fix It! 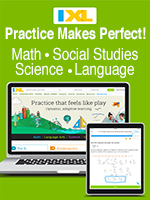 Grammar series takes a uniquely hands-on approach to teaching grammar. Students hunt for and correct errors in daily passages of fiction that cumulatively tell a story. Fix It! Grammar encourages students to immediately apply new grammar knowledge in context, aiding in the transfer of grammar skills into their own writing. Each of the six books in the series provides a full year of grammar instructions and editing practice. What's Included in Each Book? Reproducible student pages (also sold separately in convenient printed form). Learn it: Explore a grammar concept. 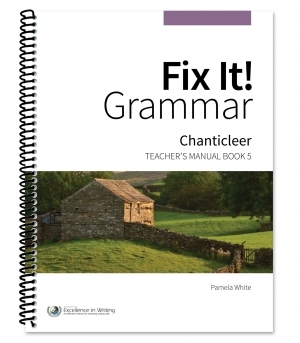 Fix It: Locate and fix errors in four short passages a week. Discuss It: Explore how the grammar applies to the passage. Copy It: Rewrite the corrected passage in a notebook. Grammar is taught in context. Editing skills transfer better to writing. Which Books do you need? Although there is a placement test, IEW recommends that because every book in Fix It! Grammar is foundational to the book after it, all students should begin with the first book: The Nose Tree. Each book includes advanced concepts, so even if your student knows much of the material, you can still begin with the first book and plan to move through it at a faster pace while adding the advanced concepts as he is ready for them. Watch Andrew Pudewa's 7 minute video overview of the Fix It! Grammar Series. 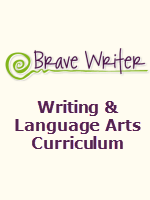 Attend a 1 hr 15 minute pre-recorded webinar giving a comprehensive overview of the curriculum. Read our FAQS about the program. 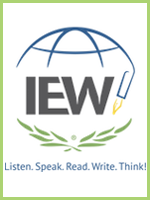 See what other members say about IEW. Fulfillment: Orders leave the warehouse within 1-2 business days (or less). Orders ship via Media Mail. Returns/Cancellations: If the product is defective or damaged upon receipt, you may return it for a replacement (Co-op does not cover return shipping) within 15 days. 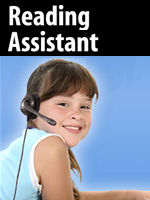 Submit your return request at our Contact Us page. You will receive return instructions via email and/or phone. Please view samples (links provided below) BEFORE you buy to ensure you want this product. In Little Mermaid Tree (Book 1) for grades 6-12, students hunt for and correct errors in daily passages of fiction that cumulatively tell a story. Fix It! encourages students to immediately apply new grammar knowledge in context, aiding in the transfer of grammar skills into their own writing. This spiral-bound teacher's manual comes with downloadable student pages, but convenient, spiral student books are also available. In Chanticleer (Book 5) for grades 9-12, students hunt for and correct errors in daily passages of fiction that cumulatively tell a story. Fix It! encourages students to immediately apply new grammar knowledge in context, aiding in the transfer of grammar skills into their own writing. 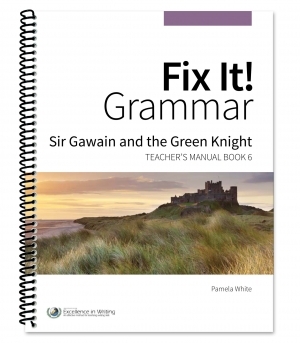 In Sir Gawain and the Green Knight (Book 6) for grades 9-12, students hunt for and correct errors in daily passages of fiction that cumulatively tell a story. Fix It! encourages students to immediately apply new grammar knowledge in context, aiding in the transfer of grammar skills into their own writing.